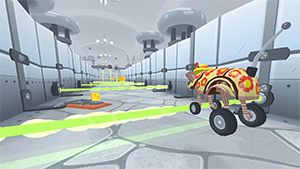 MouseBot is a new platform runner game from Vector Unit. MouseBot is a new game from mobile developers Vector Unit. The premise of the game is not complex — you need to guide the robotic Mouse through each course. Avoid Mousetraps, collect cheese, and try not to run into any cats. It’s not the most original idea in the world, but it is a unique take on the classic platform running style. There are objectives along the way, such as goals to hit in terms of how much cheese you need to collect. The MouseBot moves slower than some racing game fans might enjoy, but it’s still fun to maneuver around each of the courses. It’s amazing how far mobile gaming technology has come in recent years. MouseBot probably won’t be one of the most popular games in the world, but it’s still incredibly robust and enjoyable. The graphics are as good as an N64 game, but it’s available as a completely free download on iOS and Android. 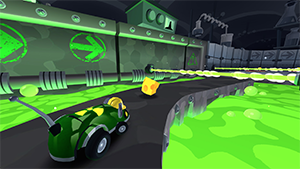 Mobile games will always be limited in their controls, however, and MouseBot is no exception. The only way to control the MouseBot is by pressing on the arrow keys on either side of the screen, which makes for a clunky experience. 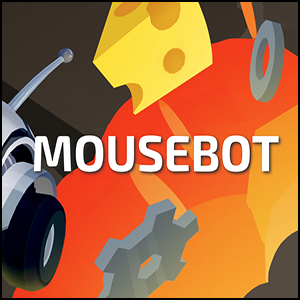 Still, overall, MouseBot is a fun game that’s worth downloading and adding to your collection.